It’s hard enough to detect errors in the entire process of manufacturing and distributing one’s own pharmaceutical products, but pharma companies must also address the challenge of counterfeit medications that at best are ineffective and at worst are deadly.1 Legitimate drugs can be diverted, or fake drugs can be created completely parallel with and invisible to your own supply chain, with their own distribution networks deliberately made complex to disguise them.2 Looking at the problem in its entirety can be overwhelming and frightening to pharma professionals and especially to consumers, who trust companies to provide them with safe and effective medications. Typical headlines illustrating the trend include: “Maryland Man Charged With Manufacturing And Selling Fake Xanax Since 2013,”3 “Fake paracetamol (aka Tylenol or acetaminophen) in Philippines,”4 “Police Seize Hundreds Of Thousands Of Fake Pills In South Carolina And Two Presses,”5 “The Motorcycle Gang Behind Philly's Biggest Pill Mill,”6 and on and on. The culprits could be your neighbors or a criminal entity operating halfway around the world. The challenge is to make the supply chain airtight, and the verification methods sound, so fakes can be identified easily. 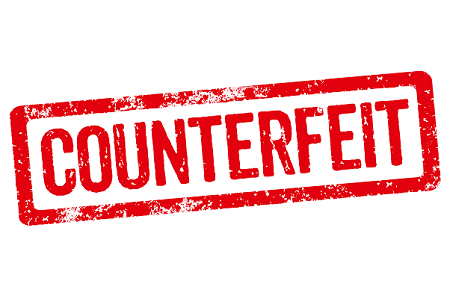 However, the gains from counterfeiting are so attractive, and the punishments often so light, that many criminals, including those trafficking illegal drugs, continue to devise new and more elaborate schemes to peddle their fake or stolen products. The dangers these products represent are many. 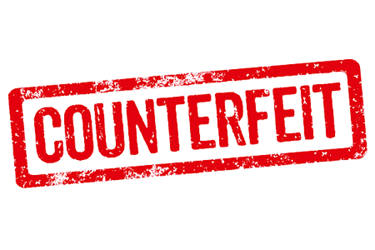 Counterfeiters will replace effective active ingredients with inert ingredients like chalk or cornstarch and manufacture their fake products in humid, unsanitary buildings, blending them in washing machines or cement mixers. Vendors often offer their fake meds in open-air markets in the tropics, likely without storing them under the temperature conditions required for a drug to be stable. The most sophisticated counterfeiters may add an insignificant layer of active ingredient to avoid detection. The results can be deadly, particularly to children. Counterfeiters count on the fact that these patients are already ill to quell suspicions about the integrity of their fake drugs. To escape detection, more care is given to the appearance of the packaging of these fakes than to the quality of the products themselves. For products that were once in the legitimate supply chain but that have been diverted, it is possible that the products have been degraded either by being past their expiration date or stored in inappropriate conditions. Aside from the dangers to the patient, fake meds also have a detrimental effect on a product’s reputation and on its sales. Diverted product can be resold at a lower cost than legitimate product, competing directly with it. Illnesses or deaths caused by a fake product that is represented as legitimate could bring a company damage to its reputation. Regulatory agencies in many countries are seriously understaffed to combat the many actors in the counterfeit market and in some cases may even run into opposition due to political motives by the authorities. 1. Assign a dedicated individual or group in your organization to monitor the security of your supply chain. This includes preventing thefts that could occur at your manufacturing facilities, warehouses, the end customer, or while the product is being shipped. Because of the opioid epidemic, which has resulted in thefts at pharmacies and even by hospital employees, the supply chain needs to be intact up to the very point the drug is administered. If an adequate skillset does not currently exist in your organization, you can find talent on a contractual basis, as product security is a well-developed area with a good number of professionals and substantial collective experience in the field. Make sure your strategy includes all your stakeholders, as there are many ways that product can be compromised. Also, be sure to meet regularly and share information, as the landscape is continuously evolving. 2. Work with regulatory agencies, industry organizations, international agencies such as the WHO, and law enforcement (e.g., Interpol) to identify and combat fakes. The regulatory agencies in the markets that receive your products usually have programs in place to combat counterfeits, with different requirements and levels of effectiveness. International organizations help both with developing effective strategies as well as resolving existing issues. As the number of countries participating in these initiatives increases, the reach of these programs likewise improves. Many countries in Africa benefit from the USP’s program for the improvement of medicines, Ghana being a standout among them. These initiatives help in a variety of ways: raising awareness for the need for increased law enforcement and stiffer penalties that go beyond copyright infringement, getting different parties to agree to a cross-national strategy, and allowing each country to keep up with new developments and adjust their practices accordingly. 3. Incorporate design elements into your packaging to make counterfeiting more difficult. 4. Use verification methods at different points in the supply chain to ensure the integrity of your product. Because the potential for a compromised supply chain occurs at many different points, there is a need to establish product identity, quality, and purity throughout. A few of these key points include when raw materials such as APIs are received at your facility, after they’re blended, when the unit doses are filled (e.g., vials), when the units are packed into shipping cartons and pallets, and when they are received at the distribution centers. However, the vulnerability does not stop here. There may be a subsequent step in the supply chain when your electronic system cannot verify that a product’s identity remains intact, such as customs at the port of entry or any step that relies on hard-copy documentation for verification. Sometimes thefts occur when corrupt individuals working in the health ministry overorder product and siphon some of it off for their own resale, an example of which occurred in Honduras.8 Those unscrupulous enough to engage in such practices will likely not be preoccupied with keeping your product at the correct storage temperature before reselling it. Talk with your supply chain professionals at every step in the process, as well as regulatory authorities and customers, to create a method that works for your organization. 5. Take advantage of new technologies. Blockchain is an area that large pharma companies and distributors have been exploring for a number of years, although its potential has not yet been fully realized. The attractiveness of blockchain is its ability to maintain data integrity, which makes it especially useful to ensure the necessary verification at different points in the supply chain. In addition, smartphone applications have been developed for consumers in some markets to identify legitimate product. While this is not a substitute for a diligent regulatory body, it gives the consumer an additional tool to ensure that what they’re ingesting is authentic. By searching the internet regularly, it’s possible to gauge the wide variety of new initiatives that exist. Pharma companies ignore the issue of counterfeiting and drug diversion at their own peril. If anything, the problems will tend to multiply as transnational clandestine operations continue to be involved in the highly lucrative counterfeit drug market. The ongoing battle between real and fake meds has been recognized as a major healthcare crisis and as such, you have a wealth of information at your disposal to combat this epidemic. As described here, there are plenty of best practices to draw upon, with new information being revealed on a regular basis, and your organization can go as detailed as your budget and time allow. Muhammad H. Zaman, Bitter Pills: The Global War on Counterfeit Drugs. Oxford: Oxford University Press, 2018. Roger Bate, Phake: The Deadly World of Falsified and Substandard Medicines. Washington, DC: AEI Press, 2012. Michael Esposito, principal at TrainReach Consulting, LLC, has over 30 years of experience in the pharmaceutical industry and 17 in GMP training and document management. He has worked for Wyeth Pharmaceuticals, Pfizer, and Johnson & Johnson's McNeil Consumer Healthcare Division in a variety of areas, including packaging, project administration, quality assurance, government contracts, translations, systems training, and international operations. He collaborated on the development and implementation of the training portion of the consent decree work plan for McNeil and revised its introductory GMP course. Esposito is a member of the training organizations GMP TEA and the Association for GxP Excellence (AGXPE). His areas of interest include systems training, training effectiveness, post-training user support, process improvement, and sustainable packaging. You can reach him at mesposito@trainreach.com.